At long last, v2.2 is here and full of new things. It took a little longer than most of our updates but we think it was worth it. Right from the beginning of this project we wanted to make finding your hardiness zone easier and we’re a step closer now for US residents, with the built in zone finder. Simply enter your zip code and you’ll be given your hardiness zone. 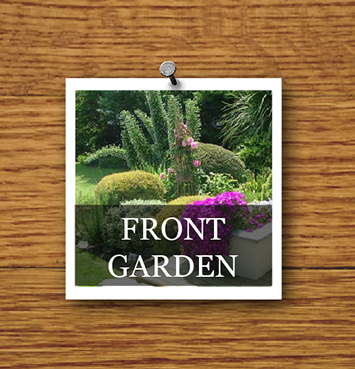 The garden galleries is a very nice looking feature that should prove a great way to show friends what you’re currently growing. 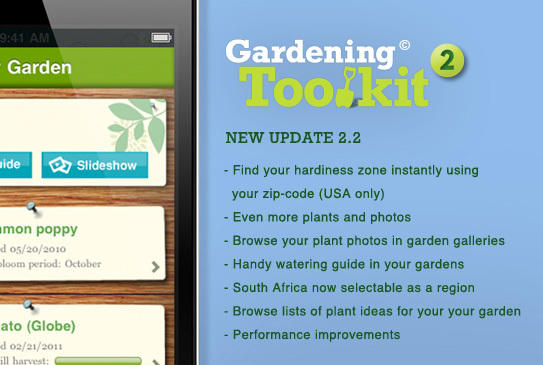 A simple watering guide and lists of ideas for particular types of garden plants will hopefully make things simple for beginners while the addition of South Africa to the regions opens up the app properly for iPhone users there. Of course there are also quite a few new plants, and hundreds more pictures. We’ve already received requests for more plants which will hopefully make their way into the next update. We hope you like it. There’s loads more we have planned so stay tuned. 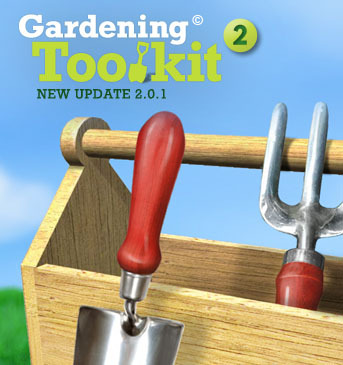 Well we’ve added a little polish to the Gardening Toolkit’s website, which seemed the right thing to do as it’s about the only ‘shopfront’ we have outside of iTunes. Although now that we’ve got v2.2 out (see above), it needs an update already. There were a few bugs in version 2, but we think those are sorted now. 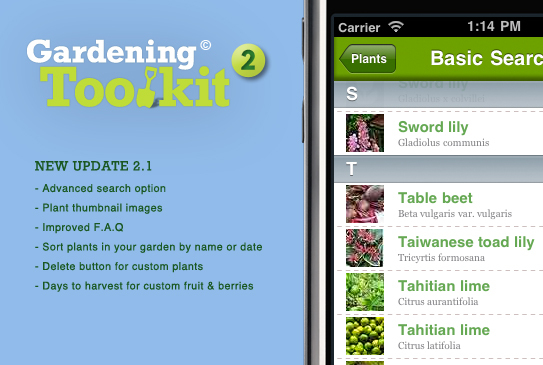 Version 2 is a big upgrade, with multiple gardens, a glossary and most importantly a completely new custom plant creation tool. Even though we added hundreds more plants (there’s over 1000 now in the app) the only way to make everyone happy was to add a proper plant creation tool. 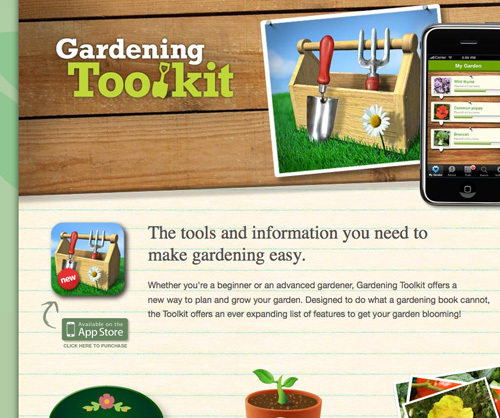 “If you want an app to help you track your flower, herbal and veggie garden this is a great choice. I paid double this price for apps not nearly as good”. We’re very happy with the update and it seems users are too! Now to get the advanced search and pests & diseases sorted……….